I hope to be headed to points southeast of here to attend a conference over a long weekend, so it may be Sunday before I manage to check in here again. In the meantime, go and amuse yourself over at this week's Carnival of Education. It is once again ably hosted by the Education Wonks. There is an excellent round up of posts and you're sure to find something to make you smile, think, or shake a fist in the air. Now that the school year is in full swing, I'm actually starting to get a few crisis calls. Most of these calls are from elementary teachers. Technically, I'm not assigned to elementary science support (yet), but I am supposed to be learning about it as I move into this position. I really haven't the heart to tell any teacher who wants support to buzz off just because they don't teach kids in grades 7 - 12. If they want to be a better science teacher, that's good enough for me. In the last 24 hours, I've been scheduled to give a presentation to a whole staff on the Inquiry Boards/Books that I showed at the August Curriculum Day. A teacher at another school who attended the presentation has been working to implement it...but couldn't figure out how to make it work with the kit she was doing. (I just wish she would have asked prior to the day she was starting the lesson...maybe she will next time.) And still another teacher and a literacy coach at a different school would like to work on WASL prompts for science. My feeling is that this is just the tip of the iceberg. I'm happy to help, but I'm not going into the business of advertising this help yet. There are still roads to travel with secondary science. I imagine that there will be many "911" calls made to me this year. I'll keep my tiara at the ready. I had two different classroom experiences today. My first was with my own kids. I was particularly pleased with the way the lesson turned out. On Friday, I had provided each student with an index card that had the name of something written on it. The "something" was different for each card. The student's task was to decide if the item on his/her card was alive and then provide a couple of supporting statements for their choice. But I didn't give them very many straightforward items: prion, virus, unfertilized egg, etc. Each kid had to wrestle a bit in their thinking. Today, I drew a line on the board with "not alive" at one end and "alive" at the other. Students took turns going up to the board with their card, placing it along the line where they thought it was a best fit, and then talking a bit about their choice. Afterwards, we had a discussion about the continuum and some suggestions for changing up the order of things. I then worked with them on a Frayer model for the term "life." By the end of the discussion, they needed to write their own definition for the term. After that, we moved on to classification and review from last week. Second period, I joined a group of other teachers on a classroom observation protocol. The idea here was to watch the class for a bit and then go and reflect on what we saw. We were not there to judge the teacher or class---just think about how this related to our own classroom practice. I found this interesting because people saw such different things in the lesson. Or in some cases, others seemed to observe things that I didn't. My guess is that with more practice with this strategy, the more likely it is that people will agree on what they did and didn't see. But again, that's not really the goal. It is still the September honeymoon period and I continue to be excited about life in the classroom. I hope the good buzz lasts for awhile longer. Gender differences aren't a new topic on this blog. I've mused about the Harvard President's comments earlier this year, the lack of male classroom teachers, and even the gap in our test scores. But is there really a reason for concern? USA Today has printed two editorials about current gender gaps at the college level. The first, "Big (lack of) Men on Campus" points to a crisis. Fewer boys in college mean that more young men choosing something else, but what? It isn't the military. It appears that some are competing for jobs as general laborers, an area where there aren't enough jobs for them. Others are in prison: "Nearly as many men are behind bars or on probation and parole (5 million) as are in college (7.3 million)." And still more are "lost," meaning that they're just hanging out in their parents' basement after leaving school. The article goes on to point out some possible causes for the drop in male enrollment at college campuses. Kim Gandy from the National Organization of Women has (surprise!) a different view of this situation. She argues that "dominant groups find ways to protect their members," meaning that if there are fewer pale males with college degrees, employers will find other ways to judge employees. Meanwhile, women are still doing the vast majority of "women's work" at home, which means that they can't put as much time into the workplace outside of the home. That doesn't look to change at any point in the near future. And finally, the glass ceiling still exists. "Women make up less than 15% of Congress and law-firm partners, 12% of big-city mayors, 9% of state judges, and 1% of Fortune 500 CEOs. Women and men have had equal levels of post-high school education for 30 years, but the gender (and color) of those in power hasn't changed much." I don't know if I see cause for alarm, but I can say that I am concerned about the classroom performance of boys. (And if I weren't, NCLB would certainly make sure that I took notice.) I don't know about your school, but I can look at the data and see that males and females are not performing similarly in math, reading, writing, and science. I don't know why---if it is how we're teaching, societal expectations, differences in cognitive "readiness," or what. There probably is not a single reason we can point to. I don't believe that much will change unless we have the same expectations for all students. It seems like the weekend is a good time to put some perspective on the Monday through Friday stuff. The kids didn't do as well as hoped (theirs or mine) on Tuesday's exam. However, I let them correct it for half credit---but they had to think about and explain why they missed the question. I only allowed them to use things like "I didn't know it" or "I didn't study" once. I was rather proud of some of the insight they gave themselves in return. Some of them know that they need to slow down when they read the "stem" of the question. Others may start underlining the main vocabulary. This is one of way of getting at the "How do they know if they know?" thing. If they can realize why they missed a question, then perhaps they won't make a similar mistake. Mind you, these are rather highly strung kids and any low grade is looked upon in an out of proportion way. So we talked about that a bit, too. This is one test out of a whole semester. It was the first test of a new class---and now you'll know the style of things. I do drop a low grade here or there. Exams are only 1/3 of the overall grade. When I showed them their current averages (based on only 4 grades), they seemed to calm down. The interesting thing with this group is that they're not much for talking---not just with me, but with one another. It's darned hard to do a strategy like "think-pair-share" when they don't "pair and share." They are starting to thaw a bit. It isn't as if they have to always partner up in class for things. But I keep explaining that the more they use the vocabulary and ideas, the better off they'll be. And this means having some conversation with someone else. Meanwhile, back at the ranch (a/k/a "Curriculum"), there are interesting things afoot, too. I'm trying to get the materials adoption in progress. But one principal was worried about one of the volunteers for the committee---a problem that resolved itself. We will need materials for 6th grade, and yet the district hasn't given the books with science standards to many elementaries (meaning 6th grade teachers don't know they're part of a different "band" of standards from math, reading, etc. ), or even told the principals about the scope and sequence work from last spring. How am I supposed to invite people to participate without blowing them out of the water with this news? And speaking of materials, a colleague of mine was looking for an opportunity to do some parallel curriculum with his sophs and I sent him to talk to an English teacher I knew. She had mentioned at one point that she might be interested in reading "Inherit the Wind" with her kids...but she and I never got that plan off the ground. Now it looks like it will...only it turns out the play isn't "adopted material" (like we were told it was). The Boss Lady is a bit concerned about this idea because of the current political climate. However, if we can use the Bible as literature, kids can read all about ancient Greek religion in the form of mythology, then a play can also be used as literature. My colleague will take care of the evolution part in his biology class. The English teacher isn't responsible for that. Should be kinda fun to see how this goes. The Boss Lady asked me yesterday if I had enough work to do. At the moment, I have a pretty light load---and I was honest about that. I also told her that my calendar is starting to fill up and that I won't have things as I do now. The Giant Black Box is elementary science---which isn't really part of my job, but is fast becoming so. I don't mind. I'm actually very interested in helping those teachers. They have already found me and are calling for help. But instead of working with staffs at 6 schools, I would have 19 schools...plus the Off Campus and alternative programs. It's a "black box" because I really don't know what all this would entail. I have a feeling that there will be far more for me to do than I can manage. So I will enjoy these last few weekends of peace and headspace. It gives me a bit more time to plan for my class and think about other things in life. Time enough for everything else on Monday...I hope. One of the things that I have discovered in my Science Goddess role for the district is that communications are lacking. I am finding that part of my job involves being the operator of a giant party line. For example, at the scope and sequence meetings last spring, I discovered that the science department chair of the other high school had no clue that the person sitting across from her was the science department chair from the junior high that "feeds" her school. Here---let me introduce you two. It would be really a good idea for you to chat. Today I met with some of the "Off Campus" staff. Off Campus is a district-supported program for home-schooled students. The program has a lot to juggle and has basically conducted its business in a very low profile way. But now those kids have to meet the standards if they want a diploma from us. All of the questions that the Off Campus staff asked me today were the same ones the staff at the Alternative Schools have been asking. "Have you talked with the people at those schools?" I asked today. Gee, they hadn't. "Well, you all are after the same things---perhaps it would be good to get together and see if you can work together." They hadn't even thought about that. There have been other similar examples in the last year or so. Once I start spending time in other buildings and visiting classrooms, I think that I will find lots more opportunities to connect people. In the meantime, I'm wondering why---in an age of e-mail and phone service to every classroom---that information isn't moving around very well. Are we too busy? Too private with our teaching? Not curious enough (or don't care) about what is happening beyond the walls of the classroom? Is there anybody out there? I will be interested to see how my the party line evolves in the coming year. My hope is that more people will take an interest in operating the line and expanding communications in the district. Teaching is too tough of a job to do in isolation. Anyway, the Education Carnival has returned to its home base over at the Education Wonks. Please do stop by there and see what you can see. There are, as always, lots of great posts on a variety of topics. Support your neighbourhood edublogger! I am one of those lucky few who have had the chicken pox more than once. Both times were before the age of two, so I am fortunate enough to not remember being ill. Since the second encounter with the virus, my immune system has been pretty good at fending it off. I am certain that I have encountered it many times since the age of two. Some of you out there may have been exposed to this virus on purpose. Perhaps a neighbour kid started to be ill and your mom rushed you over to play with him/her---all with the purpose of getting you sick. Well, not really. The real reason your mom used was that an early exposure to chicken pox would give you a milder case. People who get chicken pox later in life tend to have life-threatening complications. Better to get it as a young child and gain protection for yourself for the rest of your life. Was this really such a hot idea? And more importantly, was there any sort of factual basis to support these "pox parties"? Like most conventional wisdom, there is a bit of fact contained within the package. There is now a vaccine available to prevent chicken pox (or at least keep symptoms mild). Yet many parents are sticking with tradition and forgoing the vaccine. When I think about parents in the article waxing nostalgic for the chicken pox event with friends, I am reminded of something else I heard: pain has no memory. The meaning here is that while we remember being hurt and being in pain---we don't actually keep the memory of its intensity. Maybe these parents don't remember how miserable the chicken pox makes a body feel. And it is so much more pleasant to remember playing with your friends and staying home from school. You might know that chicken pox can come back to you in adulthood in the form of shingles. I've heard that these are really nasty. And interestingly enough, a vaccine to prevent them is about to be approved. I wonder if the parents who are taking kids to pox parties will ask about the vaccine for themselves. I didn't quite get the "diagnostic" into the shape I wanted to use with kids today---but I'm going to keep picking at it. (Yeah, I know, it'll never heal if I do.) And I hope to build in more opportunities for students to reflect during future classes. What we did today was have a movable feast of study aids. I had the class split up into 4 groups. There were four stations that each group moved to during the class period (about 12 minutes per spot). At one point, a group spent time looking at the resources their book provided at the ends of the chapters, as well as covering the captions for diagrams with their hands and then explaining the picture to a buddy. Another station was for investigating the on-line resources: website for the class and for the text. The third and fourth were two types of graphic organizers. The first was a giant 3-way Venn diagram on carbs, fats, and proteins. The other was a concept map on atoms, bonding, properties of carbon, and functional groups. I really felt like this worked well. It kept kids moving and talking about the material---they did some very nice work. We had a discussion about these different ways to use information. Not all of them appeal to every kid---and that's okay. But I want them to understand the tools that are at their disposal and also think about how they could use their time with a study partner or group. We also talked about how the average person needs ~21 times of working with new information before they have a "B" level of understanding. Not all of those 21 times can be in class...and more importantly, they have to find a way to "own" all of this information. We'll see how they do on the test tomorrow. Meanwhile, I'm still fighting the good fight on being allowed to have the kids blog from school. Our district tech people have been supportive, but slow moving in terms of figuring out how to allow one blog through the internet filter without letting them all through. I finally got fed up with hearing "no," and e-mailed the tech support of the company who makes the filter. Lo and behold, there IS a way to allow a single blog through the filter. I e-mailed the information to our district tech people, who hemmed and hawed, but finally figured it out. As of today, my class now has the only district-allowed blog. Huzzah! How do they know if they know? The only class I'm teaching this year is an Advanced Placement (AP) Biology class. It's a challenge for both the students and me. The College Board provides us with a syllabus and it is then up to us to figure out how to manage it. AP is not standards-based, which makes it a vastly different animal than other courses in our department. I am training some biology thoroughbreds to run a race at the end of the year. It is a race in which they are competing against one another---and well over 100,000 other students. Only the top 20% of them can get the most desirable score of "5." Not everyone can "pass" the test and it is designed to make very specific distinctions in what students know. This is a contrast to the WASL---in which every student can pass (although not all of them do). I've been working on the first exam of the year for my kids. We've had some really good classes so far, spending time working with the information in different ways: reading, using graphic organizers, building models, creating "foldables," etc. These are bright and highly motivated students. But as we wrap up this unit, I am wondering if they know what they do and don't understand about things. How do I help them reflect on the material and figure out what their level of understanding is? A test is really too late---in fact, tomorrow (the day before the test) is likely too late. More often than not, a test says more to me about what a kid knows. I could change this by developing some questions for them to think about as they look at a graded exam. I assume that they do this, but it's likely that most of them don't---they're just too focused on what the "right" answer was as opposed to why they missed it. Obviously, this sort of reflection and metacognition needs to be built into the daily routine. But we'll start tomorrow with our review (better late than never). I'm trying to create some sort of generic diagnostic tool for them...something to help them pinpoint what concepts they do and don't have. The next part is then helping them identify ways to "fix up" their weak points. I'm having a hard time with the "diagnostic." What questions should one ask oneself in order to determine a level of understanding? How do you know if you know something? Anyway, I'm starting with that...reflecting on how I do it...and trying to put it on paper. I hope to be able to process this some with students tomorrow, along with some different resources they can use when they need help. A couple of posts ago, I referenced an EdWeek article about how big business is concerned about math and science eduation in America. It now looks like one business intends to do something about that. IBM recently announced a program where it will financially back employees who want to leave the company and become teachers. The financial aid comes in the form of "full benefits and up to half their salary, depending on length of service" while they participate in the (re)training program. "In addition, the employees could get up to $15,000 in tuition reimbursements and stipends while they seek teaching credentials and begin student-teaching." After that, the new teachers are on their own apart from some "guidance and teaching materials over the internet." I don't think I'm the only one who will be watching to see how this unfolds. I'm glad to see that at least one company is going to try to do something to get good minds into the classroom. Will it work? I don't know. I would guess that the people who would be attracted to this program are those who might have liked to have been teachers, but knew they could have more money and better working conditions elsewhere. They are also going to have that altruistic quality that most educators have: a desire to make a difference in the lives of others. But will they be any more successful in staying for several years vs. others who come to the classroom? I think it's unlikely. Big Blue is going to have to replace half of that teaching corps every 5 years...and add to it in order to keep up with other vacancies that will be created due to retirement. Now that I am mostly on the outside of a classroom looking in, I am observing all kinds of things I didn't in the past. A teacher shared his amazing revelation this week. "If I don't teach to the standards and just teach whatever I want, it's really unfair to the students." I smiled. He finally got it. Our classroom work is supposed to be student focused---because all of these expectations (and penalties) are on their backs. We have our high school diplomas. What will we do to help them get theirs? Please understand that this teacher is not a bad teacher nor someone who doesn't care about kids. He has always put forth his best effort. It's just that he didn't make the connection with other aspects of the current educational world until now. I visited our Alternative High School today and chatted with its new principal. He is a fabulous person to work with and I am glad that I will still be able to see him from time to time in my new role Here, too, epiphanies are starting. Graduation requirements being what they will in two more years, it's not enough for a kid to attend this school and just recover credits. They have to meet the same standards as every other graduate, although they may do it along a different path. His teachers are realizing that the packet they've been handing kids to represent "biology" for the last eighteen years might not match up with the standards. Do you think we can still be standards-based even though we don't have the typical way of instruction? And me? I'm having them, too. Small ones for now...which is better than nothing. I'm finally learning to take these state issued documents and translate them for classroom use. I can see how to use a standard from start to finish. I'm learning how to be a better listener and use the information to help people network and collaborate. My Sweetie has the most amazing "people skills." I can't imagine I'll ever be as good as he in working with those who make you crazy while keeping a smile on your face. But I am figuring out how to "pick my moments" to ask for things and offer suggestions. I'm sure that there will be a host of other "A-ha! 's" this year...some mine, and some belonging to others. I'm hoping that we can pool all of these together into something wonderful for students. They should have epiphanies, too. As an advocate for the World of Science, I want students to take as many courses as they can in high school. It's their last "free" opportunity for schooling---why not make the most of it? I admit that it's likely due to my background that I see the applications of science out and about in the world: I have developed those eyes. There are some out there who feel that America is in the middle of a crisis where math and science education are concerned. According to Rep. Vernon Ehlers (R-Mich.), "...those who say the crisis is indeed real warn that without stronger student preparation in math and science, the United States cannot be competitive in a globalized world. The jobs of the future are going to require the basic understanding of principles of math and science. If we aren’t able to educate our children, they won’t get decent jobs, and I am not just talking about scientists and engineers.” Bill Gates is also on board. (You can read the article here. id: bugmenot@123.com; password: bugmenot) The ever-popular sore point is the TIMMS study: a test that compares students in various countries. However, Howard Gardner, looks at TIMMS with different eyes. He wonders if we're falling prey to a "herd mentality." (same id and password as above) The idea here is that perhaps "improving performance on a particular test is a terrible goal for an education system." After all, a country like Japan may look a whole lot better on TIMMS, but their economy isn't something to be envious of. Instead of focusing on leading the pack on test scores, perhaps we should be cultivating disciplined, synthesizing, creative, respectful, and ethical minds in our students. I think I'm somewhere in the middle of these two opinions. A solid background in math and science can provide a foundation in critical thinking and problem solving---regardless of one's path after high school. But I don't think that we should force this agenda in the name of outcompeting other countries in an international study. It seems like we should focus on what's best for our kids in the culture they're experiencing and will inherit. This means everyone gets a chance to experience a rigorous curriculum. Everyone gets math, science, and literacy skills (hopefully music, P.E., art, etc., too). You know, maybe education isn't meant to be a competition. Do head over and check out the fine carnival of education related "firsts" hosted by Ms. Frizzle this week. In other news, I saw this on Boing-Boing yesterday and immediately thought of the "Kidspeak" I'm hearing these days. 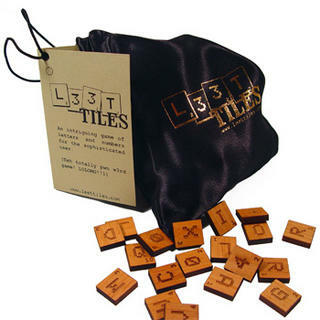 What a new twist on Scrabble! In other news, today was wonderful...and I'm a step closer to making a particular personal dream come true. Life feels good at the moment. My jobs are keeping me hopping at the moment. The class seems to be going well. I am using the Holy Grail Lesson Plan which is a bit of a challenge with an AP curriculum. It is good for me, however, to do something different with it. I feel like I'm doing a better with my teaching, but I haven't worked on reading skills with them yet. These early chapters are not particularly challenging. My Curriculum position has a lot of things headed straight at it. I've gotten sucked into a vortex of revising the elementary report card. I'll be meeting with my counterpart in another district tomorrow. I'm already negotiating for subs so that I can work with different groups. Materials are being ordered for review and meetings with textbook representatives have started. And other things are beginning to be calendared as well. All of this doesn't make for very interesting blogging, I'll admit. I did take a few minutes today and peruse the "Powerful Teaching and Learning" binder. Constructivism is being debated over at Jenny D's and the EdWahoo's blogs. PTL is all in favour of constructivism and I'm supposed to be cheering on this effort...and yet, I hadn't seen anything in particular that was convincing. It is not that constructivism is bad teaching---I think that it is a wonderful methodology if teachers are highly trained and have the proper time and support. So, I went on a hunt through the PTL binder today. I happened upon this report. If you follow the link to the summary, it states that there is a "strong relationship between constructivist teaching practices and student achievement." But in the actual report, the Discussion states that "the unique contribution of constructivist teaching to achievement is small," and then goes on to state some of the factors that may have influenced the data. So, I'm still hunting around for why my district is all hot and bothered for PTL. I have meeting with the Boss Lady on Thursday, but I'm not so sure I want to go down this road with her yet. It's too early to start rocking that boat. I have been provided with some basic testing data during the last two years, but now I actually have access to the databases and software in order to dig a little deeper. A preliminary glance at things reveals some rather frightening and thought-provoking results. Only 3% of the 10th grade boys who were part of the Free and Reduced Lunch program met the standard in science (compared to 35% who weren't part of that program). And, perhaps I should just say 10th grade "boy," because 3% represents a single student. Girls fared better, but "FRL" girls met the standard at half the amount of the others (24.5% vs. 49.3%). Free and Reduced Lunch is one indicator of income...so, in other words, students from "poor" families did worse than those of middle class (or above). Not a single African-American male met the standard in science (compared with 33.3% of Asian, 40% of Hispanics, and 30% of Whites). Oddly enough, African-American students of both sexes had the highest Reading scores of any subgroup...but were lowest in math, writing, and science. In general, 43% of our girls met the science standard...but only 31% of our boys did. Boys did outperform girls on one strand of the standard, however girls were far and away stronger at everything else in science (especially "Inquiry"). Beyond that, girls beat the pants off the guys on all of the tests. Other schools in my district show the same pattern, even if their particular numbers are a bit different. Whether or not you like NCLB, it has caused us (meaning American educators) to really start taking a hard look at issues of equity. I personally believe that those conversations are long overdue, even if the structure of NCLB leaves much to be desired. Because we know that skin colour is just "skin deep," so why does it have such an enormous result in testing? And what do we do about that? We know that children who come to us from economically deprived backgrounds have fewer life experiences to draw from and that their background knowledge needs extensive support. How do we best do that to give them equal footing with their peers? Why does a Y chromosome apparently have so much influence over performance on standardized tests? Or does it? Maybe it's the instruction. Well, more than "maybe." I really wonder what it is that we're doing in the classroom that creates some of these differences in the outcomes. What will I look for when I'm out at various schools? How can I help my colleagues address these differences and support student learning for all kids? Lots of questions, I know. I am at the beginning of a journey for my district---and I'm not sure where it will lead. I have some numbers in my pocket and it's hard to divine a road map from them. Yes, kids are more than just numbers, but the data are signposts that some kids aren't getting what they deserve. Any Tour Guides out there? This first week has been about being part teacher, part science goddess---and part ethologist. I'm getting settled in to my new digs at the central office and it is certainly a whole 'nuther country down there. I've been trying to hang back and learn the culture a bit. I do miss my more familiar surroundings---having lunch with the science teachers at my school and the regular rounds I'd make back at the building. There are large numbers of people at central office that I don't know, either by name or personality. I still feel like a visitor a lot of the time. Shoes, or the lack thereof, are much more greatly noticed than in my school. The Boss Lady's secretary has a lot of rules because she has a lot of things to keep track of. Don't mess with the rules. People seem ready to "go to the mattresses" over access to subs for their various programs. I haven't been taught what the proper rules of engagement are, but I at least know I'd better darned sure pay attention when they're given. The Supe wants short, bulleted lists of facts for any communications you have with him. The Boss Lady wants to know what may bite her down the road---and if you've planned for a way not to have that happen. If it's something you're going to display on your desk, it had better be in a frame (excluding plants). Should you dare to leave anything in the refrigerator, it will be gone on Friday afternoon. The container, too. There will be more for me to observe and conform to in the coming weeks. The place is a hive of activity, although I've been assured that a lot of the chaos will die down once school has been in session for a couple of weeks. Someday soon, perhaps I will even pass for one of the natives there. You Mean They're More Than Just Numbers? If you've been haunting Jenny D.'s blog (and you should if you haven't), then you know that there has been quite the discussion over there concerning her questions about what makes a good school and whether or not we should be educating everybody. I haven't jumped in because this is not the week for being clear headed about much of anything...but I have enjoyed pondering them when I've had a quiet moment. And now I'd like to throw this into the mix: the most recent issue of Educational Leadership which is all about educating the whole child. "All these criticisms are important, but NCLB has a more fundamental problem: its failure to address, or even ask, the basic questions raised in this issue of Educational Leadership: What are the proper aims of education? How do public schools serve a democratic society? What does it mean to educate the whole child?" Wow---you mean kids aren't just numbers? There's more to them than that? Lest you think I'm making fun of ASCD, I'm not. I'm just (happily) incredulous that in the current state of eduational melee that anyone has bothered to step back and ask these questions. I am very much in favour of thinking about the "whole child" when it comes to educational decisions. This is why it's heartbreaking to see extra- and co-curricular activities cut. This is why I take time to counsel kids each spring about their upcoming courseload...how it's one thing to challenge yourself and quite another to have no life outside of school. (There will be plenty of opportunity for that if they become teachers. :) ) This is why I consistently supported enrichment opportunities for students---taking them to the art museum or concerts or plays. And it's why I try to share as many resources as I can with my students. Learning should be a joy. I'm not a teacher who thinks that NCLB is just going to "go away." Like it or not, the standards movement is here to stay. I disagree with several aspects of NCLB, but applaud its challenge to schools to ensure that all children have access to a quality education. I can imagine that the law will be modified over time. I'm hoping that it will be in the name of the "whole child," rather than for the selfish reasons of adults. I keep staring at this screen in an attempt to collect some thoughts. I'm afraid it's going to be a futile enterprise at this point. The last two days have been a whirlwind. I have my AP class up and running. It is hard to say how they will be. The class is first period and that is not the high point of a teenager's circadian rhythm...and certainly not after keeping their own hours for most of the summer. We have already had our first lab and tomorrow will be the last day of "housekeeping duties," like books and class expectations. Our real work begins on Friday. Meanwhile, I am realizing what a steep learning curve I have ahead of me for my district job. I seem to be frequently discovering things I'm supposed to be doing...or realizing that I don't know how to do things (like who to ask for help or get supplies). The good part is that people are friendly and although they are in their own frenetic worlds, they are always willing to take a moment and impart some wisdom. I am appreciating the freedom from a bell schedule. There's something nice about being able to focus on a task without wondering if I have enough time to start...let alone think it completely through. It's true that I have far too much to think about at this point and some of it is lonely business. There are three math people and scads of literacy specialists and coaches. And me: the lone scientist. The Boss Lady told me today that we will be presenting the Secondary Science Scope and Sequence Recommendations to the School Board next month. Yikes. They are ready, of course, but there are a few details to hammer out. And this is such a big step...many people have worked very hard and I do not want anything to get screwed up. I did get a wonderful data tool today and now I can play with our district science data in all sorts of ways. I will never be as accomplished with it as our district Data Queen (who always claims to be grooming me for her job), but I am still anxious to learn what I can from the numbers. For tonight, I hope to just let all of this go, relax, watch some tennis, and not worry about tomorrow. If you haven't checked out this week's Carnival of Education, just keep scrolling down. There are many great posts to share! The bell rang. Students began to arrive at the classroom door. Ms. R. pulled herself together. "We have a sub today?" The student had a dejected look. Ms. R. smiled reassuringly. "Yes, but the Wonks left us some very interesting ideas to explore today. I hope you all brought your homework with you. I understand that you were writing about current issues in education. If you’ll all take your seats, we’ll get started." An eager young man raised his hand. Ms. R. looked at the seating chart. "Ah, yes, Coach Brown. Would you like to begin?" "I think all of us have been watching, perhaps even been feeling a bit helpless about, the aftermath of Hurricane Katrina." Many in the classroom nodded. "I’m concerned about the impact that this disaster, along with 9/11, the war in Iraq, and other world events may have on this current generation of children in America. Will we as teachers be able to guide them into creating something positive out of all these tragedies?" "I’ve been thinking about the hurricane, too," said Ms. Cornelius. "We already have some of its victims enrolling in our school. Our lives are being affected indirectly in a number of ways." Another student signaled his eagerness to join in the conversation. "We, too, have students enrolling in our district." Rhymes with Right paused as others asked if there was enough support. "We will do all we can to get students what they need and are also looking at helping teachers who are out of work. I’m proud of the efforts that are being made." "And what about all the displaced teachers?" the Ruminating Dude piped up. "Let’s face it, there are going to be teacher shortages in coming years due to retirements and ‘highly qualified’ restrictions. Those in the south will likely find jobs in the future. But right now, some districts are already making it a financial burden just to apply for a job. We know that a lot of teachers already spend personal money to stock their classrooms—will they still be willing to do so when it costs $300 just to try to get the job?" "I have some other ideas," said Cross Blogging. "For displaced students, there is some on-line curriculum available. You can read about how to access it in my essay." Ms. R said, "As I mentioned, the Education Wonks left us with some important ideas to consider, especially in light of the current tragedy wrought by the hurricane. It’s wonderful how many schools are stepping up to help, but how will they deal with the added expenses for busing and school programs?" "I'd been thinking about that," said Mz. Smlph. "Did they leave us with some suggestions?" "They did indeed. Check out their work in order to find out what schools need and how to donate with that same post." At this point, another young man volunteered to talk about his writing. "Yes, Mr. Cranky Taxpayer?" "I’ve been recently made aware of many irregularities in the standards-based testing done at an elementary school in my area. Teachers were given incorrect instructions and there is a lot of evidence that some helped students cheat. This may not be the first time this has happened." "No wonder you’re feeling cranky," said Coach Brown. "Here, here!" cried Redhog. "The taxpayer over there isn’t the only one who’s concerned about possible irregularities and corruption. Here in New York, we’re seeing some significant changes in the hallowed halls of the Teacher’s College. It looks like their founding principles are being abandoned in exchange for money and power." Education Matters asked to speak. "Accountability is always a big issue—especially where taxpayer money is concerned. Have you seen the Arizona governor’s plan for educational reform?" Redhog said that he hadn’t. "You should take a look. There are a lot of associated costs to consider." "Yeah, well, just across the river here in New Jersey, we have a different sort of event going on: a whole symposium devoted to Bruce Springsteen," said Gene Expression. "Is this really a good use for tax dollars and scholarly time?" Another voice chimed in. "Even farther afield in Israel, there are issues with staffing. Should older/more experienced teachers be put out to pasture so that a new educational system can be molded? I'm not so sure that's a good idea." "Do you have union issues associated with that?" Polski3 asked. "You know," said Jenny D., "perhaps it would help if we thought about what makes a good school and how you would know one if you saw one. I’ve had some great comments about these ideas." Ms. Frizzle joined in the conversation, "But doesn’t this also get you thinking about what the purpose of school is...and who should be educated?" "Absolutely. In fact, I wrote a follow-up piece on those ideas," said Jenny D. "There's been really good discussion. I hope you'll add to it." "I'll bet some of that has been about the idea of what makes a good teacher," said Chris Correa. "I've been doing some thinking about that myself after reading Jay Greene's book: Education Myths. I'm not convinced that he has done a thorough job of thinking about this issue. And it's important enough to merit serious attention." Jenny D. nodded in agreement. Ms. R. sighed. "There seems like there are so many problems out there. What about closer to home? Does someone need help with their work?" "I do," said Mr. McNamar. "I’m interested in helping struggling writers and also am looking for ways to make the teaching of grammar more accessible. Any ideas and feedback that you have would be appreciated." "You know," said Polski3, "I’ve been reflecting on the ‘teacher toolbox’ we all acquire as we move through our careers. I have some ideas I want to share with everyone to help add to and maintain the bag of tricks you use to teach your classes." "That reminds me," said Ms. R., "I brought along a piece of my own to share concerning things to talk about with parents during Open House." There was a knock at the door. The principal entered and greeted the class. "Ah, you have a new student today." Ms. R. smiled as the student found a seat. "Tell us a bit about yourself." "I’m Ed. I’m interested in using technology—especially media production—to increase student achievement." "Welcome!" said Bud the Teacher. "I love to use technology to enhance what happens with kids, too. In fact, I’ve recently turned into a Moodle Freak." Bud continued. "It’s a free on-line course management system. I’m using it for portfolios and hope to do so much more with it. You should check it out." Hedwig the Owl motioned that she would like to speak. "Hearing about all of this makes me especially grateful for the good start to the year that I’ve had." "Wow, I’m surprised," said Political Calculations. Hedwig the Owl looked a little perplexed. "Why is that?" she asked. "Because according to what I’ve seen, a career like yours requires a high monetary investment to get into, but nets you little pay in return." Mamacita spoke next. "Perhaps money isn’t the only reason we get into these jobs...although I don't think any of us would turn down a higher salary. Sometimes it’s about the kids and trying something different. Remember the "mod" system for structuring the school day?" A few in the class nodded, but most looked confused. "Well, it was a really cool idea, although there were some drawbacks...especially for the kids who needed more structure or remediation." The Interested Participant was shaking his head. "Remediation is sure to be a larger issue in the future, even if it is being reported that 47 states are ‘rebelling’ against NCLB. As for me, I don’t think that report is credible. But take a look for yourself and see what you think." "I've been thinking about NCLB a bit, too," said Darren. "There are certainly some problems with it---especially where parent and student accountability are concerned. I'll bet that the same ones who remained uninvolved with education are very likely the ones representing the estimated 58% of students not qualified for service in the military." "We’re almost out of time today," said Ms. R.
"Will you be back next week?" asked Mamacita. "No, next week, Ms. Frizzle will be hosting the class. Would you like to pass along your information?" "Yes, thank you." Ms. Frizzle stood and faced the group. "Next week's 'Carnival of Education: First Days of School Edition' will be hosted by me, Ms. Frizzle. Please submit first day stories to me at ms[dot]frizzle[at]gmail[dot]com by Sunday, Sept. 11 at 11:59 pm. I'm looking for first day tales from teachers, administrators, parents, and students - and if your second or third day was more meaningful than your first, go ahead and bend the rules just a little! Thanks!" The bell rang and Ms. R. watched the bright students leave the classroom. She wrote a note of thanks to the Education Wonks for planning such a wonderful lesson and the opportunity to guest host the class and share the students' work with The Truth Laid Bear ubercarnival. Perhaps she'd see them again over at Ms. Frizzle's. In another 24 hours, I will be in the midst of my fifteenth year of teaching. I'm not sure how fifteen years have come and gone so quickly, but here I am, ready to put my pantyhose back on and wade into the middle of it all. I still get some "butterflies." In the early years, they were a product of feeling unsure of whether or not I was prepared...whether or not I really wanted to do this job...and a host of other "what if's." But at this point, the flutters are more of a signal of excitement. It will be so good to be with the kids again, learning together. I feed off of their energy and that of my colleagues. There is so much promise right now and I want to make the most of it. If you're a regular here, then you know that my career is in transition from full-time teacher to full-time science goddess (a/k/a "curriculum specialist") for my district. This is shaping up to be my last year as a classroom teacher...at least for awhile. But this doesn't mean that I will be away from the classroom all together. If anything, I feel like I am trading my 150 students for the chance to make an impact with 6000 others (and twice that number once elementary science is my responsibility). I want to spend time with teachers and kids helping them get what they need. But for today, I am just thinking about my kids...running through tomorrow's class in my mind...wondering how good the year will be. I know many of you are already back in the trenches. I'll join you in just a little bit. Bright and early Tuesday morning, another school year will be under way. This means that it is the perfect time for me to make some "New Year's Resolutions." Class Blog: I really need to make this work, especially if we are allowed to access it from school. There are already other teachers asking if they could do one and so my "test case" needs to be successful. To do that, I need to make the conversations there engaging and encourage participation. The information must be integrated with what happens in the classroom. The Holy Grail of Lesson Plans: Now that I believe I have it, I need to "walk the walk" I talked up during last week's inservice. This means being more mindful of classroom time and how it's being apportioned. It also means making the effort for more reflective practice. Reading Strategies/Study Skills: I make a good go of this at the beginning of each year. I just need to sustain it. We use an incredibly dense text in AP and I want to give kids more tools for interpreting it. I have a huge learning curve for my district job. This means that I also have a lot of goals and desires for that position. But one of the things that I really want to do is spend time with science staff in other buildings. I know nearly every science teacher now, but not as well as I'd like. There are a few who seem a little suspicious or resentful of me and I need to see if I can change that. I also want to have some firsthand knowledge of the culture at each building and the conditions that impact science education. Make the load bearable: This is a goal for myself and others. I know what a huge "burden" teaching can feel like these days. It has nothing to do with the kids---going to the classroom continues to be joyful for most everyone I know. But it's the ever increasing performance expectations in concert with the isolation of teaching that wears us down. Somehow, I have to help teachers get the best tools so that their job is simpler. I want all of us to feel the passion that got us into the classroom without the reasons we can think of to leave. Do something with my personal time: This may be more of a traditional "New Year's" sort of thing. But I have been in the classroom since I was four years old. I don't know much about living life outside of it. It looks like this year may afford me the very first opportunity to do so. I will have far less evening and weekend work to bring home. What would I like to do instead? I really don't know. I have a few hobbies I enjoy, but perhaps it's time for me to take some new directions with my life. Who am I, apart from an educator? We'll see how well I do with these particular resolutions. Some will be easier than others to accomplish. I just have to be mindful of them and not be discouraged by setbacks and changes in course along the way. That's why they're "resolutions," eh? Earlier this week, another teacher and I gave a workshop for elementary teachers in our district. The topic was Inquiry and how to provide kids with a scaffold for their investigations. This was the first time that I had worked with teachers of grades 3 - 6 and I had some trepidations. Especially my lack of "street cred," having never taught those grade levels. My worries were unfounded and they seemed very welcoming of the ideas my colleague and I shared. I have been told by my Boss Lady that while I am officially designated as a curriculum specialist for secondary science only, that I should start learning the elementary side of things. Those duties (currently assigned to someone else) will eventually be dumped, er, shifted over to me. I had not been terribly excited by that idea, but now I am seeing all of the possibilities that go along with it. I learned a lot during my time with the teachers. Unlike their secondary counterparts, these teachers aren't focused on instructional materials. They just want to know what to teach. I already had great admiration for them. There is no way I could spend all day in a classroom with the same kids---and plan for all of the different subjects they have to teach. They are unfairly expected to be experts in all areas of content and instruction. Our elementary science program (like 90% of the state) consists of the FOSS program. These are kits of lab materials and a teacher's guide for a particular topic. It's science in a box. This does make things a lot simpler for teachers, but it does not provide the one thing they need most: a conceptual understanding of what they are teaching. There is a big difference between working through a kit, hoping the kids will get the "big picture" from all of the parts vs. presenting the kit in a way that builds student knowledge and leads to actual learning. Even though the inquiry process is part of the various kits, not a single one of the teachers I worked with made that connection with our presentation. They very much liked what we did with them, but they viewed it as a separate entity that they might do with students---not the foundation for student investigation into science. The elementary teachers do want help with their science program. I told them that I would be pleased to help them, but I would need them to tell me what they needed...I am woefully ignorant of what is happening in their classrooms. So, they provided some places to start. They would use the inquiry process with the kits if I could give them a question or two as a starting point. Seems reasonable. My colleague also suggested that we find a way to film students doing the labs in the kits. This way, if other teachers didn't have time to do the kits, they could show portions of the film and discuss things with students...or have them critique the procedure...or think about ways to apply the information. Perhaps this isn't as good as real "hands on" experience, but it is likely better than nothing. I know that the teachers have received training on the kits. But what I now think needs to happen is that we (as a district) need to go back with each kit and talk with teachers about the concepts that are involved. I have no doubts that most elementary teachers would give their very best efforts in the classroom if we could tell them what those efforts would look like when they're teaching science. It is unlikely that we will ever have "science specialists" for the elementary schools. However, we already have literacy and math "coaches" who help teachers with their craft. I hope that science coaching will also be available in the future. The more I learn about my new role with the district, the more work I realize I have ahead of me. I'm actually looking forward to it. You may have noticed some changes to the ole blogroll over on the sidebar. And about darned time, too. In case he's new to you, I'd like to introduce the Ruminating Dude: a thoughtful chemistry teacher and dad-to-be. His recent post about the state of healthcare in America made me grateful for dental insurance benefits for the first time in my life---and really raised my awareness in the process. Mamacita's Scheiss Weekly is a delight. She is down-to-earth, full of life and humor, and does a wonderful job of sharing it all. Her love of her career always shines through, even when her stories make you shake your head or break your heart. I'm sure that Mz. Smlph and Ms. Frizzle need no introductions; however, if you haven't taken a moment to click over to their blogs and see what they are sharing, you should. I greatly admire Ms. Frizzle's posts where she engages in reflective practice. It is such a unique opportunity to get inside the head of another teacher (especially a science teacher) and get a glimpse of what goes into being an outstanding educator. Mz. Smlph has a teaching assignment I don't envy, but I greatly admire her joyful approach to the classroom...even when things make you want to cringe and run away. I like learning from both of these women. Bud the Teacher is forging ahead with technology in the classroom: podcasting, blogs, wiki, and more. There is a wealth of information here and it has certainly emboldened me to look into trying some of these ideas. I am a believer in the idea that we need to teach kids where they live. And many of them are living in Bud's world. I need to reach out and do that, too. Finally, the Pencil Revolution. This is not an edublog, but a celebration of all things pencil. I have always had an office supply fetish, but I do have quite the passion for pencils. (Yeah, yeah, Freud rears his ugly head again.) My sweetie knows that these are my first choice for souvenirs when we holiday. I rarely am without one tucked behind an ear. I'm happy to have this new altar to visit. The last day of inservice was yesterday, followed by Open House. I was all geared up for it...and not a single parent showed up to meet me. Sigh. I did find out yesterday that I may be gaining a few more students (and parents). The other high school is cancelling its AP Biology class due to lack of interest (only 6 students were enrolled)---so a kid or two may come over to our school for that class. What makes this an interesting tidbit is that the other high school is the "beautiful school" in the district...the one in Newsweek's Top 500 High Schools list. This list is generated by the number of students enrolled who take AP courses and tests (and schools nominate themselves). The mere idea of them cancelling any AP course is akin to sacrilege. It's frightening to think how close I came to being the only AP Bio teacher in the district---as I was nearly hired to take on the class at the other secondary school (grades 7 - 12), too. Anyway, I'm disappointed with the lack of turnout last night. Since this may be my last year in the classroom, I would have liked to kick it off a bit differently. But perhaps a bad dress rehearsal will mean a great opening night.